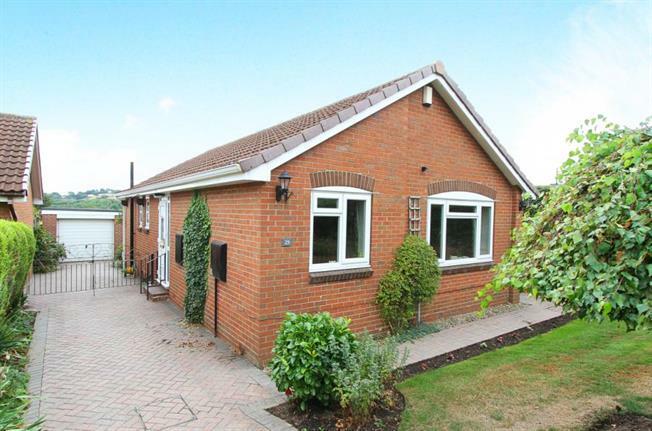 3 Bedroom Detached Bungalow For Sale in Sheffield for Asking Price £230,000. Offered for sale is this superb well appointed three bedroom detached bungalow in Owlthorpe, Ideally placed for the nearby Sheffield Supertram networks the property occupies as sought after cul-de-sac location and is offered for sale with NO CHAIN. In brief the accommodation comprises; Entrance Hall leading to the Living room with feature fireplace, Fitted Kitchen, Bedroom One providing access to the uPVC Conservatory, Two further Bedrooms and the family Bathroom. The property stands in beautifully maintained landscaped enclosed Gardens and has a generous driveway providing access to the detached Garage. Owlthorpe is a popular area known for its excellent local amenities in the form of shops, schools and Sheffield Supertram networks. Ideally placed for links to both the M1 Motorway networks and Sheffield City Centre. Rother Valley Country Park nearby offers excellent leisure pursuits and Crystal Peaks Shopping Centre and Drakehouse Retail Park further superb facilities. The area is a short drive from surrounding local Derbyshire countryside and there are superb local restaurants and Gastro style public houses in the surrounding villages.